Deputy Chief Executive of London Chambers of Commerce and Industries (LCCI) and Chairman of the ICC World Chambers Federation International Certificates of Origin Council, Mr. Peter Bishop, called on the High Commissioner, Mohammad Nafees Zakaria, today. They discussed trade and investment relations between Pakistan and the UK and ways and means to increase the bilateral economic relations. The High Commissioner briefed Mr. Peter on the prevailing business environment in Pakistan and highlighted the growing trend of Foreign Direct Investment (FDI) into Pakistan while referring to the significant investments coming from China, Saudi Arabia, Malaysia, Turkey, UAE and other countries. The High Commissioner also briefed him on the ongoing project of China Pakistan Economic Corridor (CPEC), which is a flagship project of China’s Belt & Road Initiative (BRI). 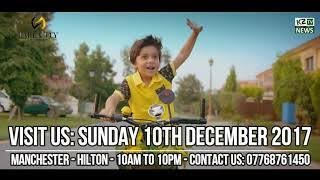 Mr. Zakaria identified business opportunities in Pakistan in particular, and the region as a whole where Pakistan’s advantageous geographic location makes the country as a natural economic hub and energy corridor. The Deputy Chief Executive undertook to work closely with the view to explore and exploit opportunities to the mutual benefit of both Pakistan and the UK. For the meeting, Mr. Peter was joined by the Chairman Pakistan – Britain Business Council, Mr. Julian Hamilton, and Chief Executive Officer, Mr. Rashid Iqbal. Mr. Peter is responsible for London Chambers’ international trade activities and for the LCCI Asian Business Association and Information Service. 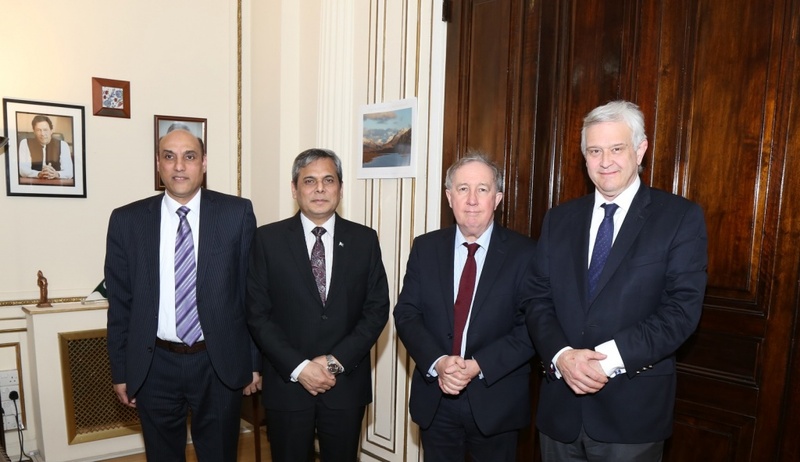 Group photo: (from left to right) Mr Rashid Iqbal, CEO PBBC, Pakistan High Commissioner to the UK, Mohammad Nafees Zakaria, Deputy Chief Executive of London Chambers of Commerce and Industries (LCCI), Mr. Peter Bishop, and Mr. Julian Hamilton, Chairman PBBC at the Pakistan High Commission London on 28 March 2019.